In the hospitality industry, comfort is a key aspect that cannot be ignored. A well designed hotel or restaurant helps relax its customers and makes their entire experience enjoyable and memorable. A hotel with a Dacor that isn't satisfactory may make its customers' experience unforgettable for all the wrong reasons. 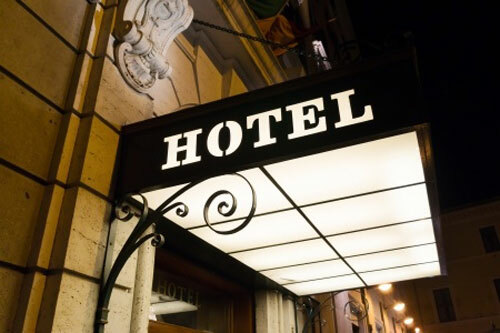 The Dacor of a hotel plays an important role when it comes to attracting customers. The theme you choose for your hotel or restaurant may be modern or traditional, depending on the guests you expect to be entertaining. Our designers keep your hotel's unique theme in mind while designing the interiors as well as the furnishing. We provide complete interior designing solutions, such as upholstery, furniture, accessories, etc. for all kinds of hotels and restaurants. We offer a variety of fresh and unique ideas, which will help your hotel or restaurant, stand out among the rest. We focus on image, our clients' budget constraints and functionality while undertaking projects for hotels and restaurants. Although the task may be complex, our results will dazzle you and your customers for years to come.